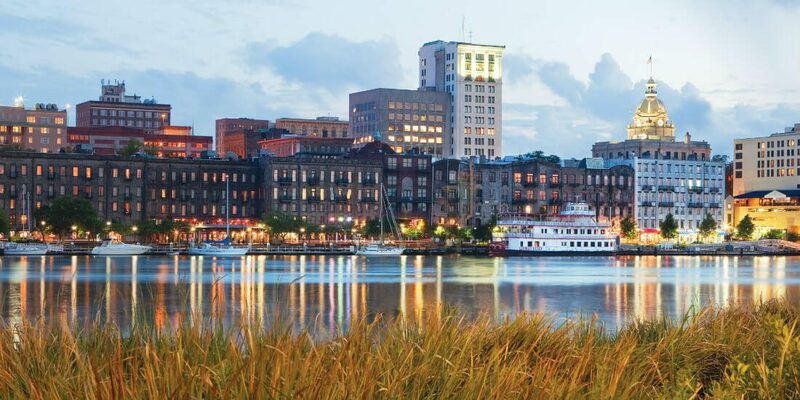 Savannah has always been a city rich in history and culture, and has America’s finest ‘living’ collection of eighteenth and nineteenth century buildings. Beautiful streets and squares reveal more than 250 years of history, displayed in exquisite ironwork, ancient cobblestones, splendid mansions, and picturesque cottages. On the waterfront you will discover cobblestone-paved Factors Walk and River Street, where old cotton warehouses have been converted into shops, taverns, restaurants, and museums. The Mighty Eighth Air Force Museum features over 90,000 sq. feet of exhibits, interactive displays, historical artifacts & a magnificent collection of aviation art. Visit historic Tybee Island, Savannah’s quiet beach community and stop at the Tybee Island Lighthouse and Museum. Also, enjoy a Southern buffet as you cruise down the Savannah River.